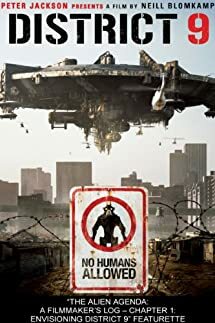 Neill Blomkamp’s District 9 (2009) is the most original film I’ve seen in a long time, a mash-up of science fiction tropes and some very political elements. I wrote about it in passing in a long rambling essay (long even by my standards, please note) concerning travesty & drag. The main character is infected with alien genetic material that begins to turn him into a hybrid of human and alien, a travesty of both the alien and human species of which he is comprised. Blomkamp not only shows us something brilliant and troubling, but he then takes us inside the emotions of that character, problematizing our loyalties. One doesn’t come away from this film loving humanity. I don’t think Blomkamp’s new film Elysium is as original as District 9, but even so there are good reasons why the film is filling theatres. Once again we’re into the borderline between human and non-human, this time via varieties of human-machine hybrids, a cyborg travesty. The concepts –and there are several—don’t feel quite so prominent nor as breath-takingly original in this film, although we’re drawn inexorably into the life of the main character. Where I found myself thinking about the situations & implications in District 9 (and did notice several awkward changes in tone), in Elysium the struggles of the protagonists overwhelm everything else. In other words Blomkamp’s latest film is more accomplished, less of a diatribe and more like an actual film. It’s a fast smooth ride that’s irresistible. Given a choice of what movie to see tonight I was drawn to Elysium by what I’d heard about the film: that it follows the trajectories of current politics. The rich are richer, the poor are poorer. The environment of the Earth has further been degraded, so much so that the rich have jumped ship: moving to an orbiting sanctuary called “Elysium”. The trope is one we’ve seen before, certainly as far back as Metropolis, although I wouldn’t be surprised if there are earlier influences on Elysium. And in passing one can’t help noticing the authoritarian behaviour of the police. Nevermind the G20, in Egypt hundreds of people are being killed. I saw a piece online from Adbusters implying that this was the beginning of the new struggle between rich & poor. While I wasn’t ready to buy into their theory, when you come to Elysium, set roughly forty years in the future, you have to wonder. What civil rights would anyone have? The film is melodrama, a roller-coaster ride to which the viewer surrenders simply by showing up. The visuals, the story, the performances, are all very powerful. I can’t deny that I found the ending a bit disappointing. Like many melodramas, the unfolding of the story invokes recognizable tropes, classic conflicts that push our buttons. I have no doubt that most people will find the story engaging, and may find my quibbling with the ending a sign of a defective character. There’s much to admire in the film, not least the acting of the principals. I’d be grateful if Hollywood would for once consider science fiction for its big awards, particularly Jodie Foster & Matt Damon. But considering the political itch I’ve been scratching the past few days, I’m happiest to see a film take such an unequivocal position. It’s too dark for Frank Capra, but I have to wonder if films can change the way people vote. If so the Republicans will not like this film. This entry was posted in Cinema, video & DVDs, Personal ruminations & essays, Reviews and tagged District Nine, Elsyium, Jodie Foster, Matt Damon, Melodrama, Neill Blomkamp, science fiction. Bookmark the permalink.